--Chris Mason, 34 saves; St. Louis downs Carolina, 5-2. --Ryan Miller, 31 saves; Buffalo beats New Jersey, 4-1. --Dwayne Roloson, 34 saves; Islanders win over the Rangers, 3-1. No Gaborik, no offense for the Rags. --Jason LaBarbera, 31 saves, Keith Yandle 3 assists; Phoenix wins again, 4-1 over Columbus. --Sidney Crosby, hat trick, Chris Kunitz 1 goal 3 assists; Pittsburgh wallops Montreal, 6-1. Crosby's third career hat trick. The first also came on Oct. 28. He has 36 goals in his last 55 games now, counting playoffs. As for Martin Skoula, solid night. One glaring mistake that didn't amount to anything but also made a couple good plays. --Brad Richards, 2 goals; Dallas tops Toronto in overtime, 4-3. --Craig Anderson, 30 saves; Colorado takes out Calgary, 3-2. 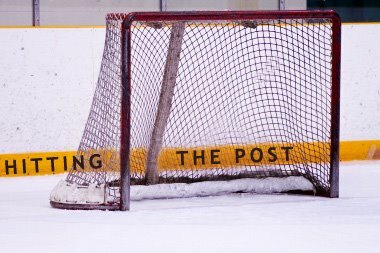 Is goaltending important? Colorado went from Andrew Raycroft and Peter Budaj to first in the NHL behind Anderson. --Mike Ribeiro tied the Stars' game with 2:45 remaining and James Neal scored in overtime to give Dallas the win. --Both goalies were sharp between Los Angeles and San Jose, and it took six shootout rounds to decide a winner when Ryane Clowe scored on Jonathan Quick and Jarret Stoll's attempt was stopped by Evgeni Nabokov. Alexander Frolov (Kings) and Patrick Marleau (Sharks) had the regulation goals. "We're happy. I don't want to give people the impression we are not happy. We're managing our expectations a little better." Two goals in 38 seconds late in the second period, by Nick Foligno and Jarkko Ruutu, gave Ottawa a 4-2 lead over Florida in an eventual 4-3 win. One was lucky, as Foligno's pass went off the skate of defenseman Bryan McCabe and past Panthers goalie Tomas Vokoun. McCabe scored later but Florida's comeback attempt fell short. This won't make Wild fans feel better, but someone has to decide who's the Nashville starter. Dan Ellis has out-played Pekka Rinne but was pulled after conceding those three quick goals. Coach Barry Trotz says he's not worried about Ellis, but this continues to be a back-and-forth situation. Rinne won his last start but gave up five goals in doing so and had a decent bounceback game Wednesday. "All the arenas are all new and all generic. You don't have a lot of differences. So, to me, there isn't a real home advantage for a lot of the teams." Washington at Atlanta to see Alex Ovechkin play Ilya Kovalchuk. Detroit (4-4-2) at Edmonton (6-5-1), 9:30 p.m. ET. If the Oilers, who have been shut out in two straight games, are going to score, it'll be against the Red Wings, who allow an average of 3.5 goals per game. Someone forgot to tell the folks at NHL Network to re-do their commercial for the Caps-Thrashers game. Saw one last night trying to showcase that Ovechkin-Kovalchuk matchup. Woops.